ON MESSAGE: Stigma and discrimination and ensuring equal access to health services for all areas in need of improvement, says Tufton. TO further bolster the fight against HIV/AIDS globally, UNAIDS has devised a three-step programme – 90-90-90 – for stakeholders at the national level to implement. Each of the 90s holds special meaning. The first 90 means that, nationally, ninety percent of those who are infected with the HIV virus will know their status. The second 90: ninety percent of those who have been identified as positive will go on medication and anti-retroviral medication (ARVs). The final 90: ninety percent of those who are on meds will be virally suppressed to prevent them from passing on the infection. According to the National Family Planning Board (NFPB), Jamaica is five percent away from achieving the first 90 of this global objective. 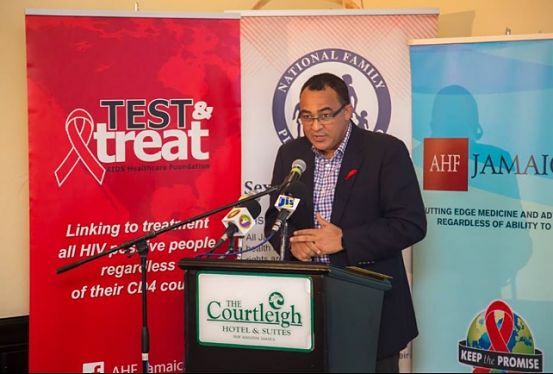 This is welcome news for health minister Dr. ChrisTufton, who delivered the keynote address at a press launch for World AIDS Day at the Courtleigh Hotel & Suites in New Kingston on Thursday evening. “Retention in care remains the major challenge along with viral suppression rates. In order to achieve the global 90-90-90 targets, significant investments must be made in improving retention care, scaling up ART coverage and improving viral suppression levels,” the health minister said. 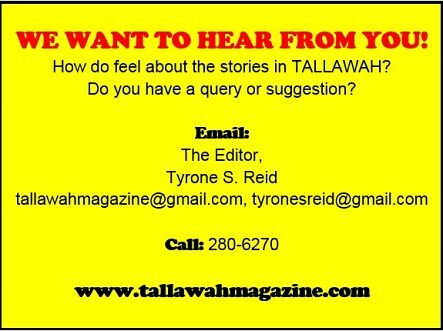 Tufton cited some sobering statistics. At present, Jamaica has an estimated 29,000 persons living with HIV or 1.6% of the adult population. Of that estimate, 85% have been diagnosed. Adolescent deaths resulting from HIV continues to rise despite declines in other age groups. This year, World AIDS Day (December 1) is being observed under the theme “We Have the Right to Health: Keep the Promise, Don’t Turn Your Back On Me.” Activities planned to mark World AIDS Day 2017 include a song competition, a visual arts competition and a national youth expo to be held inside Emancipation Park. * The National AIDS Spending Assessment estimates that the total spending on HIV and AIDS-related activities in Jamaica was $US15.1 million for the April 1, 2014 to March 31, 2015 fiscal period. ** Since the introduction of Anti-Retroviral Therapy in 2004, reported AIDS-related deaths have declined by 64%. UNAIDS estimates that the number of new HIV infections has declined by 45% since 2005.